Uptown Bonifacio is Megaworld Corporation's 15-hectare township community located in North BGC, Fort Bonifacio. 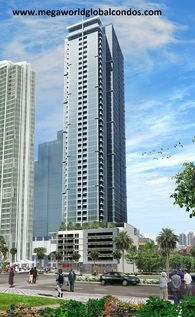 Uptown Bonifacio is most sought after location in the Fort Bonifacio because of its luxury condominiums, exquisite dining destinations, unique concept retail stores, international schools, infrastructure developments, and multinational companies. NO DOWNPAYMENT, 0% Interest, 5 years to pay. NO DOWNPAYMENT, 0% Interest, 4 years to pay. 10% DOWNPAYMENT, 0% Interest, 2 years to pay.